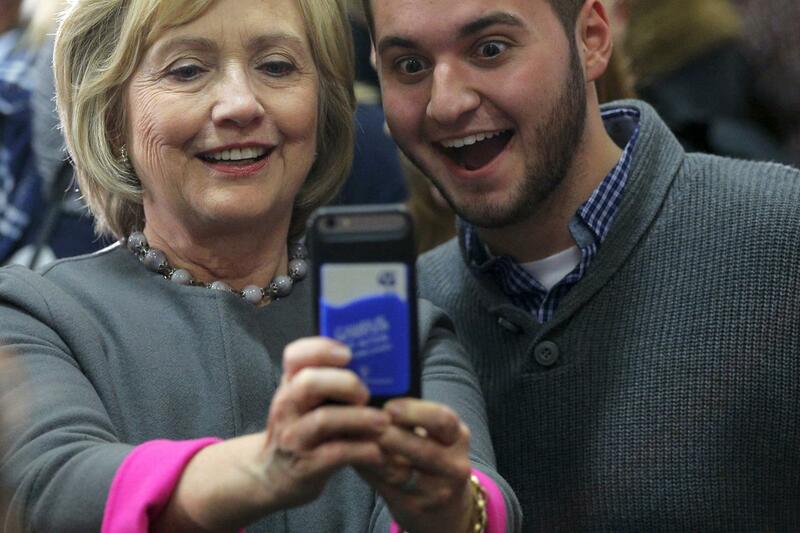 A selfie with Hillary? No problem. After nearly four decades in public life, Hillary Clinton is no doubt one of the most photographed politicians in the world. And these days she’s helping add to the stockpile of images — acquiescing to voters on the rope line at campaign events who demand selfies with the Democratic presidential candidate instead of autographs or even brief conversation. At event after event, Clinton poses for dozens of photos with supporters — so many that the former first lady and secretary of state has become adept at helping voters get their best selfie. Slowly working through crowds an event this week in Charlotte, Clinton did not merely shuffle along and pose for photos, as her GOP rival Donald Trump and other candidates do. 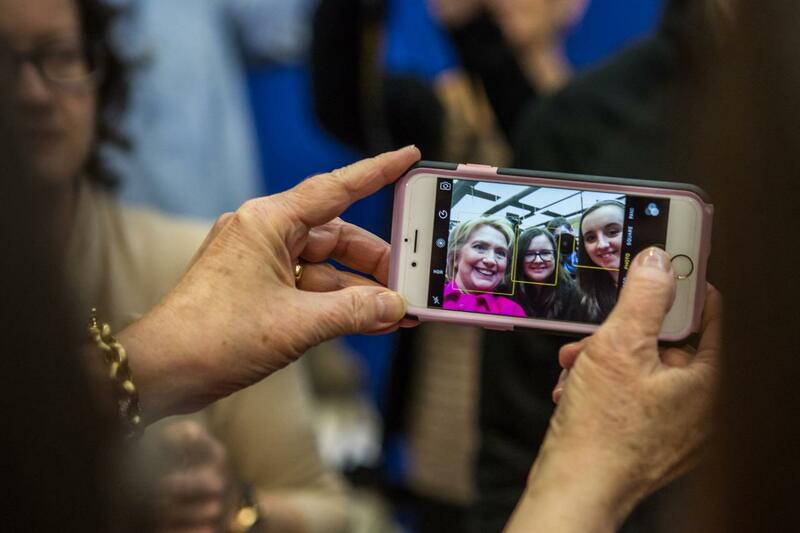 She often grabbed voters’ phones, navigating to the camera menu before extending her arm and clicking the shutter button herself. In one case, she even checked to make sure the photo turned out OK before handing the device back. 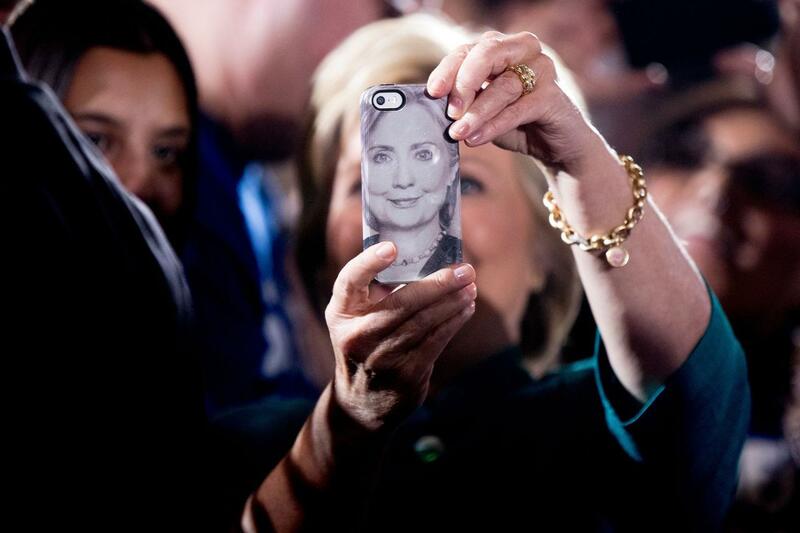 While Clinton is all smiles for the mobile phone paparazzi, the candidate lamented “the tyranny of the selfie” in a February interview with Esquire magazine, suggesting it had diminished her experience working the rope line. Follow our complete convention coverage.